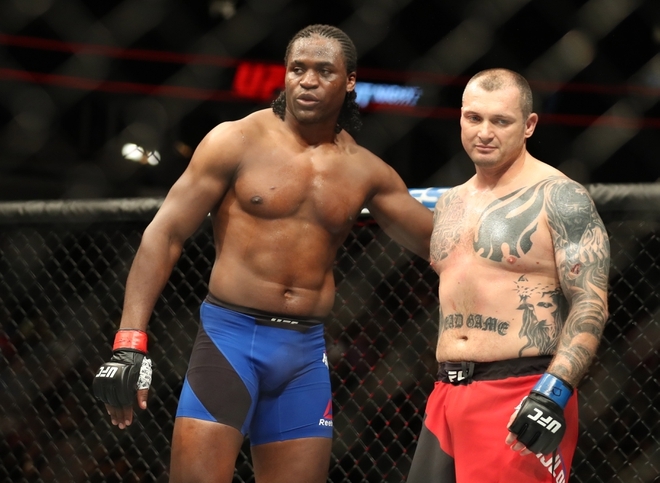 Mihajlovic vs Ngannou - One of the biggest size differences in recent memory? Discussion in 'UFC Discussion' started by bubbleboyjones, Jul 24, 2016. My initial thought when I fight started was "either Ngannou is the biggest human in the world or Mihajlovic is tiny". 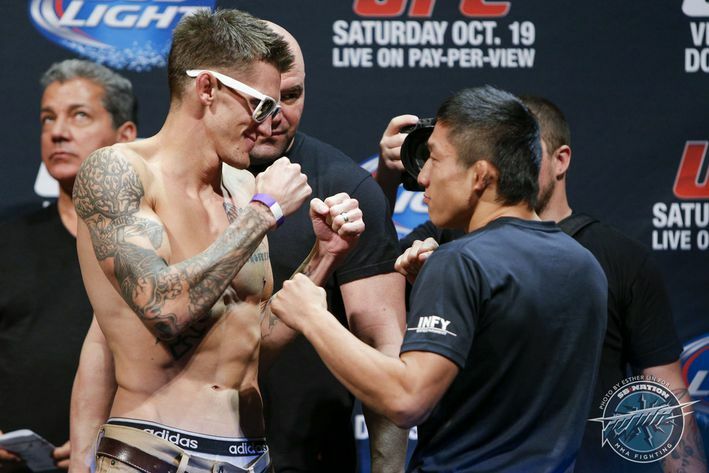 Seriously though this fight had to be one of the biggest mismatches in size that I can think of in the UFC. Mihajlovic was one of the weakess 228lbs i've seen. He has the frame of a midsize middleweight. Almost like a fatter/more muscular version of Chris Leben. Contrast that with Ngannou who is a big HW and its like this is a throwback to UFC 1. JohnyBrabo, shaffmeister and basementdweller like this. Yeah. Ridiculous mismatch. Looked like Rumble/Yoshida. 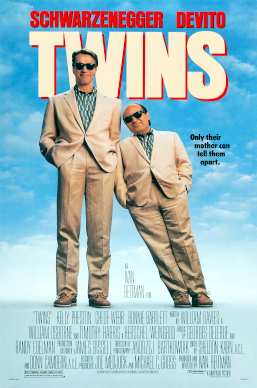 Was like watching Danny Devito fight Arnold Schwarzenegger over who was a better Batman villain. Chivas GDL, jcow3, JohnyBrabo and 5 others like this. Isn't the size difference about the same as DC vs Jones? gosuasus, nintey and Hazuki Ryo like this. DC is built like a little tank...... kind of like Fedor. Mihajlovic has a smaller frame than Fedor and DC. iloveufc123, hitcher, gosuasus and 3 others like this. He was an overweight LHW, or possibly even a middleweight. He was a can brought in for Ngannou to smash. fedja and justalurker like this. JohnyBrabo, Flex Plexico, Harry Ellis and 1 other person like this. Really no way around that assessment either. Mihaljovic beat absolutely no one of note in his fights before this and generally had trouble finishing the cans with losing records he was fighting. Not sure why they made this fight. What does Ngannou learn from destroying a guy so clearly beneath him? This was a mismatch. Check out Ngannou weight though. He really stepped up a few divisions. Minnja, JohnyBrabo, Fedor's NO.1 Fan and 1 other person like this. Fight Professor, gosuasus, Sano and 2 others like this. What is this suppose to show? 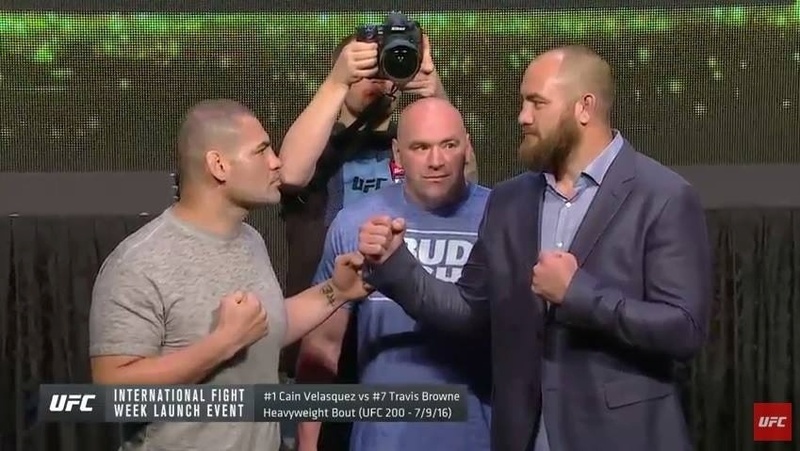 Cain is built like a neanderthal and was only 1.5 lbs lighter than Travis. I'm not talking about height difference. bunt and Enigma87 like this. Sgt Smith, Fight Professor, hitcher and 11 others like this. iloveufc123, gosuasus, fedja and 3 others like this. Lol Fedor looks like world's oldest 9 year old in that picture. JohnyBrabo and Enigma87 like this. This is awesome...he must have been cutting height early in his career. Also Mihajlovic failed in the can role so miserably I was angry, I don't even think Ngannou landed one clean shot. Nothing for the highlight reel there which is really disappointing considering that was the whole point of the match-up.